This article proposes a method for mathematical modeling of human movements related to patient exercise episodes performed during physical therapy sessions by using artificial neural networks. The generative adversarial network structure is adopted, whereby a discriminative and a generative model are trained concurrently in an adversarial manner. Different network architectures are examined, with the discriminative and generative models structured as deep subnetworks of hidden layers comprised of convolutional or recurrent computational units. The models are validated on a data set of human movements recorded with an optical motion tracker. 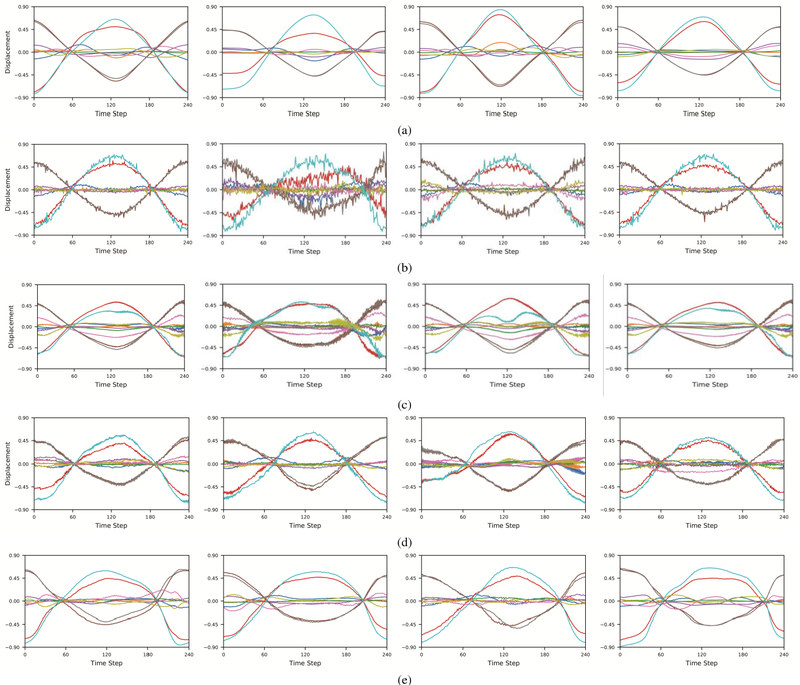 The results demonstrate an ability of the networks for classification of new instances of motions, and for generation of motion examples that resemble the recorded motion sequences.